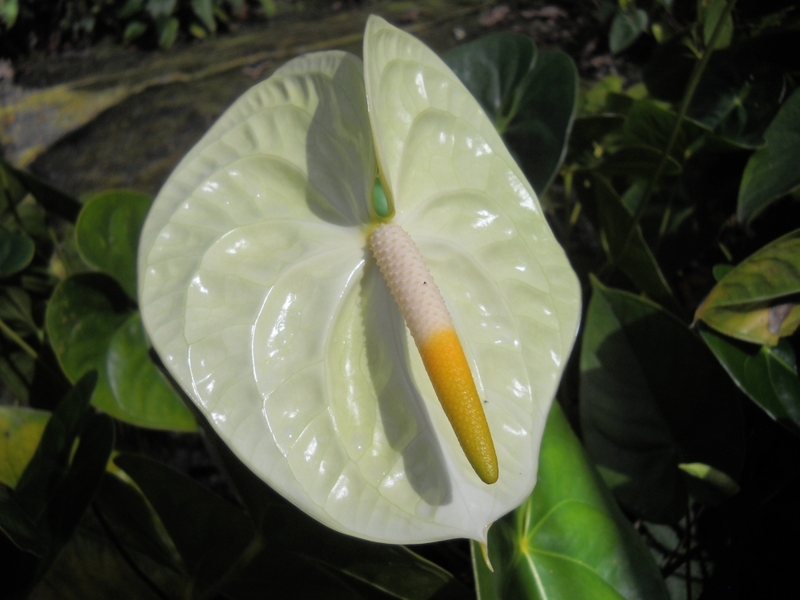 If you have had your anthurium plant for a long time, you may want to consider pruning it for several reasons. First, if your anthurium has a lot of dead or yellow leaves they should be removed. Second if a leaf or flower has been injured by a pest and become infected it should also be removed. Third, if your plant has an excess of leaves, it can be pruned for aesthetic reasons. To start make sure you have the following supplies on hand. You will need pruning shears, a cloth and rubbing alcohol. Put a little alcohol on the cloth and rub it over the blades of your shears to sterilize them. Sterilization is a very important step that is required to keep your plant disease free. Next, look for any dead or yellow leaves on your plant. If you find any, gently pull them off. If they do not come off easily clip them off with your shears near the stalk of your plant. After each cut be sure to sterilize your shears to prevent the spread of bacteria to your plant. After that, look for diseased leaves and flowers, and clip them off. Make certain you are especially careful to sterilize your shears when working with diseased portions of you plant. But, hopefully you will be lucky and not have any diseased leaves or flowers to trim off. At the end of your plant’s growing season, you can remove leaves for aesthetic reasons if your plant has more than four leaves. If you wish, you can trim off any excessive leaves that stick out at bad angles to make your plant look better. But when you are doing this make sure you leave at least four leaves or you may harm your plant. When doing this try to remove older leaves and leave the younger leaves to develop further.